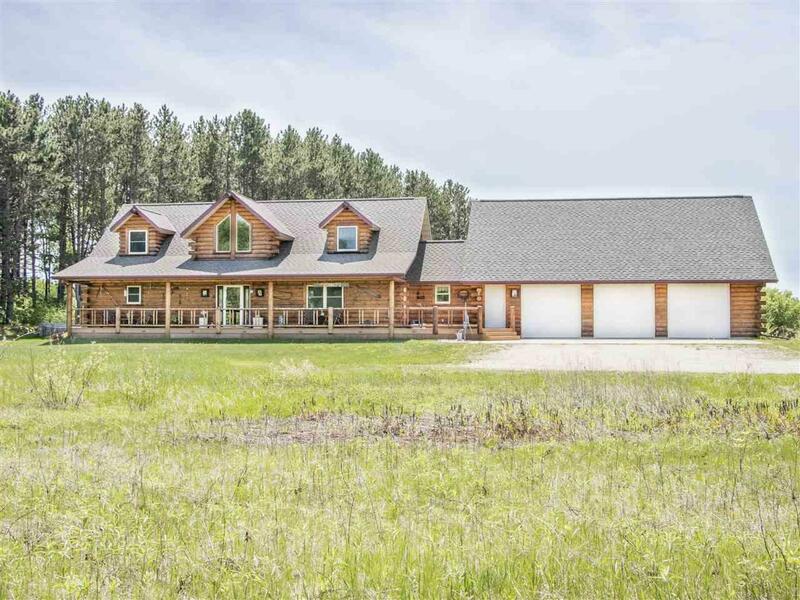 There is no setting so special, so perfect, so relaxing, & you can call it home! 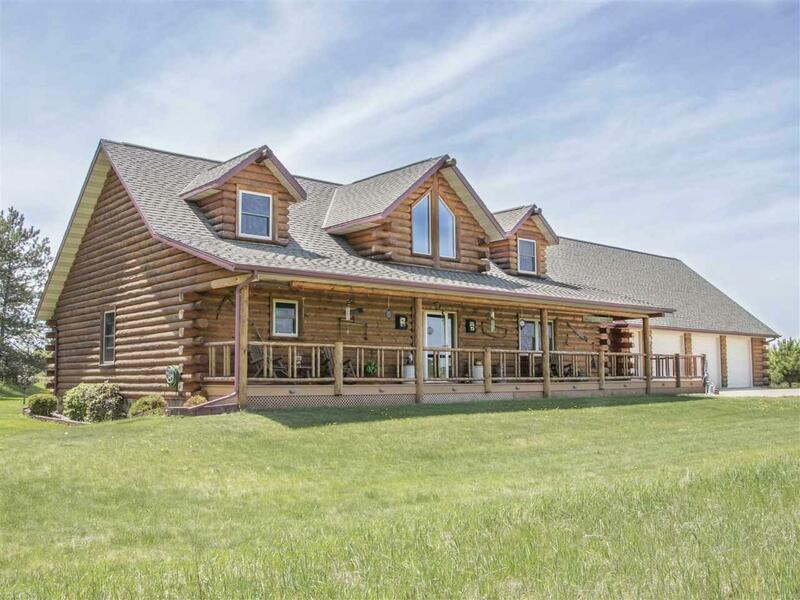 This log home is set on a mixed 10 acres. 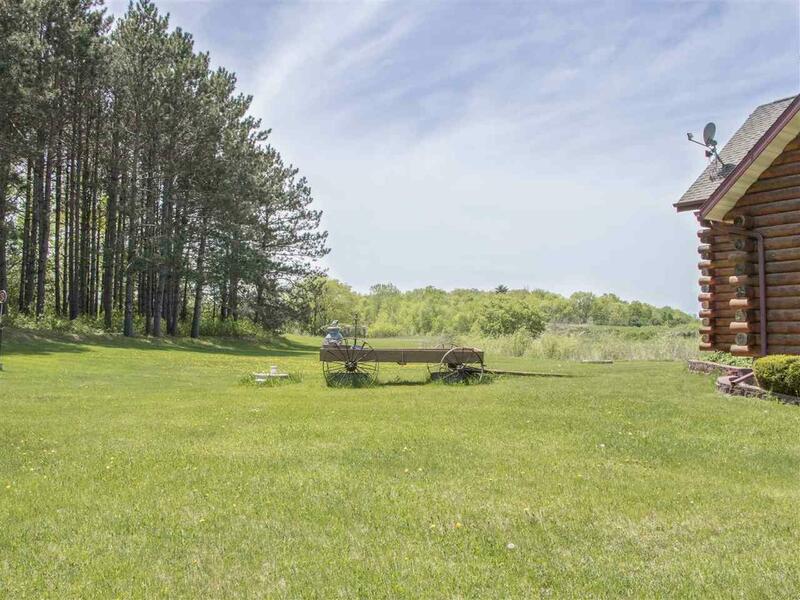 Theres a beautiful yard complete w/decks, patio, AG pool, & perennial gardens, several acres of woods for hiking or hunting, prairie in the back & lots of grassy areas either to play in or just relax, look out & enjoy the view. 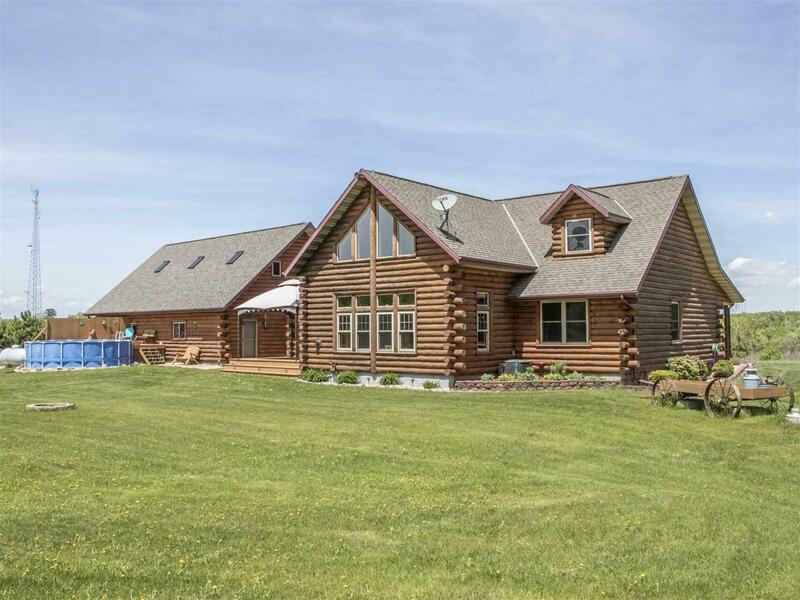 The entire home is customized w/great design elements, strong architecture & large open areas. The garage fits 4 cars, has built in cabinets/storage & has a full above garage workshop w/skylights & built ins. Its perfect! Make it yours! !